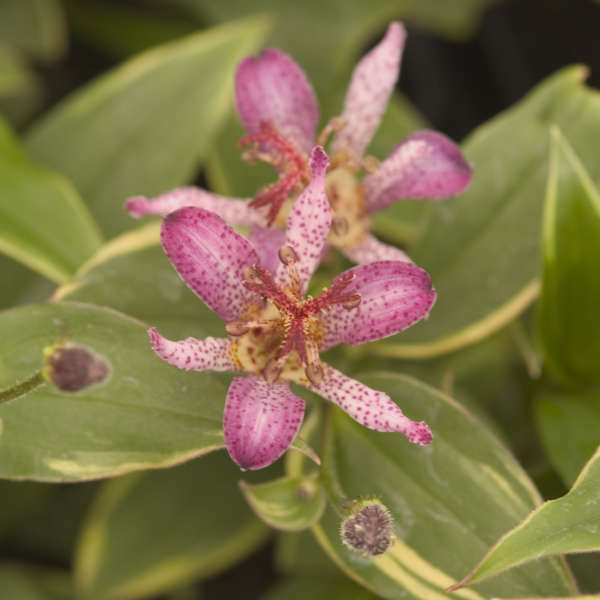 This variegated selection raises the bar in Tricyrtis breeding. The foliage remains consistantly clean all season and demonstrates superior vigor, even in late summer. 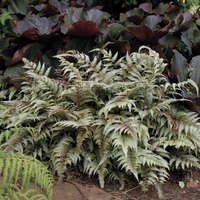 True to its name, 'Gilt Edge' has green, lance-shaped leaves edged in creamy yellow. 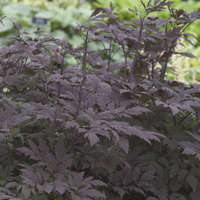 The gracefully arching stems support these leaves which are arranged in a ladder-like fashion. 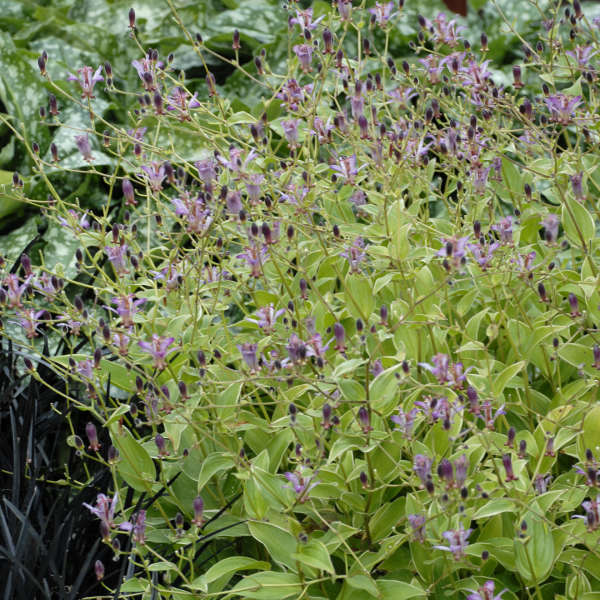 Beginning in late summer, white, orchid-like flowers heavily spotted and streaked with purple appear. They are a welcome site considering most other plants are finished for the season by this time. 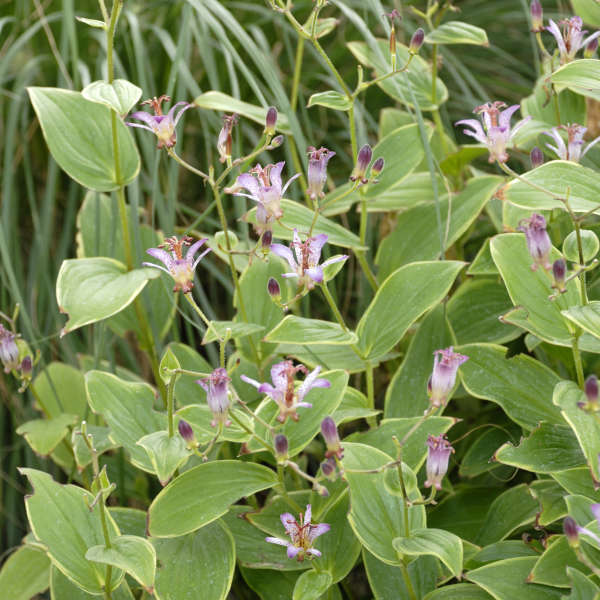 Plant Tricyrtis near the front of the border or along pathways where its unique flowers can be viewed at close range.